10” Pinion Support - Gearworks Inc. The GearWorks pinion support is made from 2024 T-351 billet round and deep hard anodized black. The GearWorks pinion support is made from 2024 T-351 billet round and deep hard anodized black. 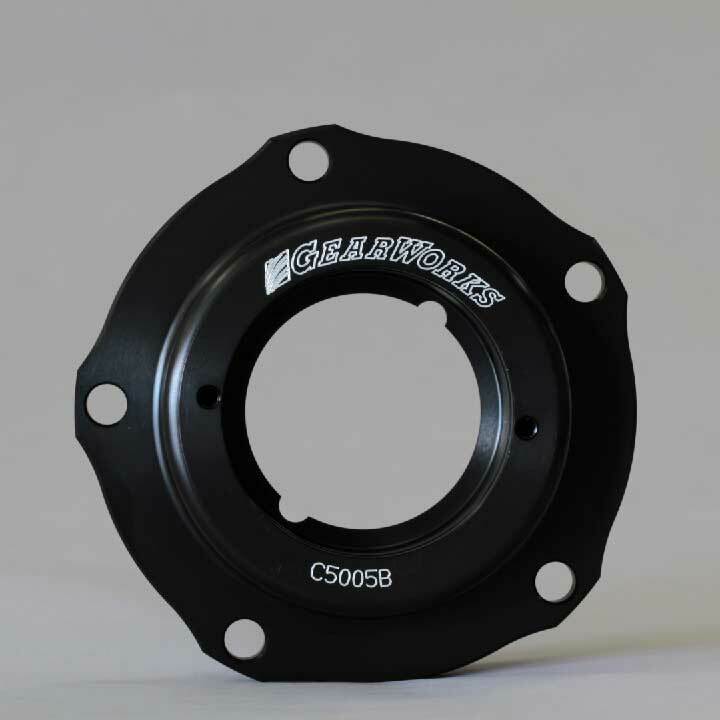 Unlike most pinion supports that are really designed for drag racing, ours has a lubrication passage for the front bearing resulting in a substantial reduction in bearing temperature in endurance type racing. 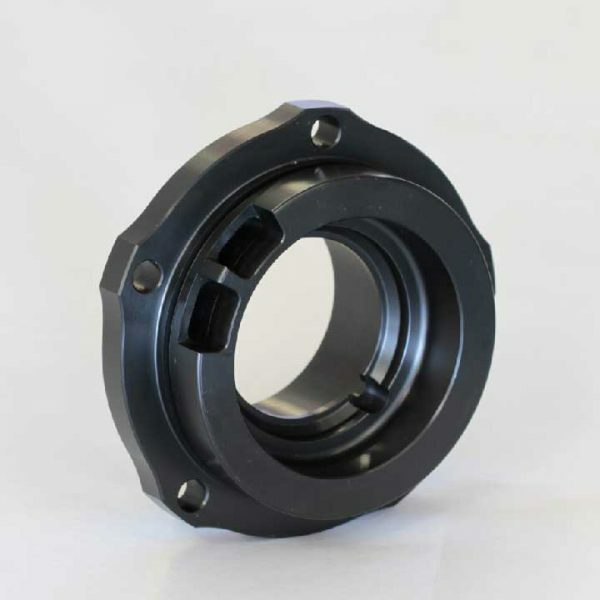 It also incorporates industry standard bearings to keep cost down. These are offered in Reversed configurations for flipped thirdmembers (Please specify front or rear application standard or flipped) as we have one for every application.